So, due to yesterday’s purchase of some Megamind/B.O.B the Blob DVD from the cheapy bin, I was able to grab a few moments of quiet this morning to check out the latest Game Informer magazine, despite it being Spring Break this week. First of all, I wanted to address a few of the quotes from a feature called “Overheard at the GDC” (Game Developers Conference). Well, I’m not even going to explain to you writers why I’m passing that on. Hey, look, creators of awesome video games get subsequent book syndrome too. We talk a lot about putting out quality work, about studying and working on your craft, and not asking for money for your work until you actually have a product that’s worth charging money for. But, yeah, at some point you do have to stop waiting for permission and just take the leap. And besides, the best way to do that working on your craft thing is by, you know, doing the work. (Writing.) There’s a balance there, and I’m afraid I don’t know how you tell when you’re ready. I just know that if you ask everyone, there will always be someone around to dissuade you from moving forward. I like the tone of that quote. Just go do it. Stop making a big, hand-wringing, forever-researching deal about it and just get it done. Then move on to the next one. So those were some interesting thoughts from artists in another field. Okay, so the highlight of this issue for me was the article on The Walking Dead from Telltale Games. This is supposedly set to begin in late April, as a monthly series for XBox, PS3, and PC, meaning it’s a digital download game, not a go buy the disc thing. It’s a single-player adventure that (I think I read in a different article) takes place at the beginning of the series while Grimes in in the coma. Your role is that of convict, Lee Everett, who escapes during the chaos of the beginning of the apocalypse. Along your journey, you’re supposed to hook up with a total of nine other characters for your party. What interested me most about the article was it talked about player actions influencing the story. You know I’m into that. And this game seems to have a lot to do with group dynamics–you know, relationships. How you choose to treat the different people in your group and the actions you choose to take change the story you play through. Anyone already have plans/pre-orders for this? Amazon’s got a lot of video games on sale this week. 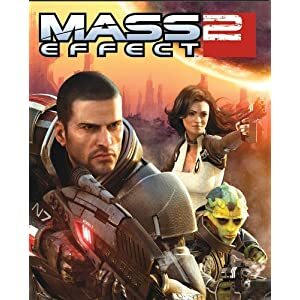 Like Mass Effect 2 (from Bioware, makers of Dragon Age) for $4.99 and BUNCH of casual games for $1.99 each (click link, scroll down). 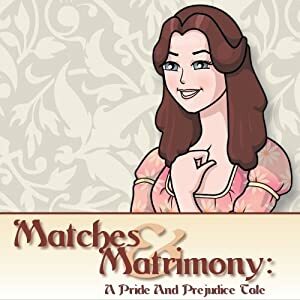 That’s how I found the Jane Austen based Matches and Matrimony. A while back, I posted about what games I was playing and how I had really enjoyed the text adventure, Surviving High School that I had found in the DSi Shop. It was in that post that commenter, Lisey, recommended Bioware games to me and got me started down that path, but still I really like the simplicity and choose your own adventure/romance of a game like Surviving High School. Matches and Matrimony was fun. It’s not very complicated or active and if that’s what you need, look elsewhere. It’s mainly a fan game with a lot of reading. While it starts out very much in Pride and Prejudice, the story–at least the one I played through, was a combination of Pride and Prejudice, Sense and Sensibility, and Persuasion. There are three Bennet sisters, Jane, Lydianne–a combination of P&P’s Lydia, S&S’s Marianne, and Persuasion’s Louisa, and your character, whom you may name yourself or will be named Lizzy by default. Game play consists partly of choosing skill-building activities for your character each week, Regency appropriate activities that build the Recency period desired characteristics of Wit, Willpower, Talent, Sensibility, Kindness, and Propriety. These, and your character’s energy level, affect what actions will be available during gameplay. The other part of the gameplay is the choices your character makes about actions to take and responses to other characters. There are 8 suitors, one named Wickeby, who seems to be a combination of Wickham and Willoughby, as well as Bingley, Darcy and others you meet along the way in the game. There are 9 possible endings. In a feat of spectacular matriomonial fail, I managed to unlock the “Miss Bennet” ending when I played and married no one. I totally felt like this was worth $2, and maybe even the regular price of $7 if you’re a big Jane Austen fan and know all the books/movies practically by heart. It’s fun to see how the game marries the various storylines. Good luck dissuading Mr. Collins, though. I would totally support a Buffy game of this nature, just sayin’.